BandOke with The Noodles Thursday 9.30pm @ The Residence! The Noodles BandOke -Thursday 9.30 at The Residence! 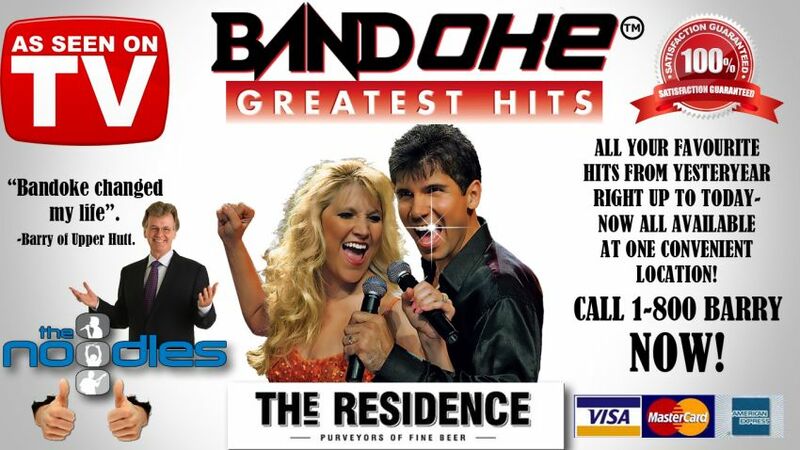 Bandoke- it’s your chance to sing with a real live band!!!! BandOke @ The Residence This Thursday! Everyone’s Favourite Thursday Night Activity from 9.30 ‘Till late, only @ The Residence!